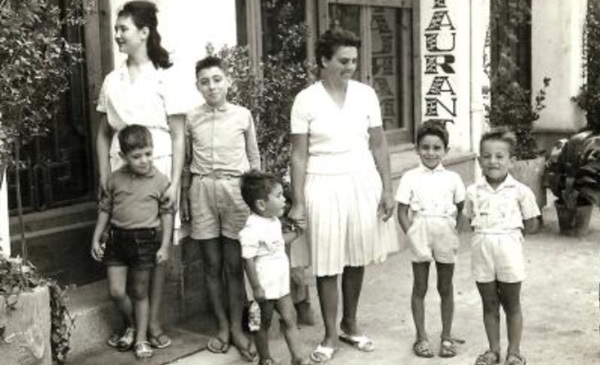 The Fonda el Camí was founded on 1st July1962, with only 6 rooms. 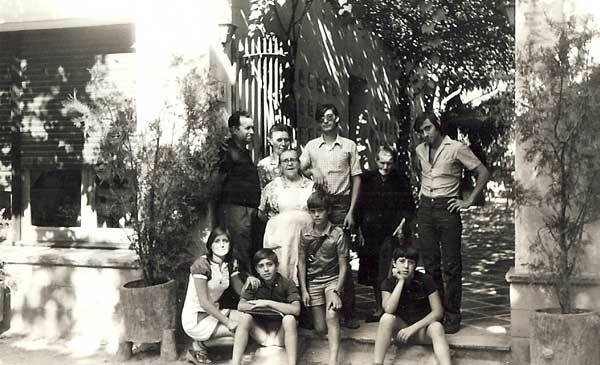 It was the family home of Mr. Salvador Colom. The treatment was familiar and colloquial, essential for the continuity of the business for 50 years. At present, his sons, Josep Maria and Francesc and their wives, Rosa Maria and Yolanda, have taken over El Camí Hotel Inn. We have reached the age of 50 thank to the loyalty of our guests, who always have felt at home and demostrate it recommending us to their friends and acquaintances. The rooms at the El Camí Hotel Inn are distinguished by their adaptability, quality and absolute comfort. Room designed to satisfy all your personal needs, equipped with TV, telephone, bathroom, air conditioning, heating, Wi-Fi and views to the courtyard. Room price from 31 €/night 10% VAT included. City tax of 0.50€ per person per night is not included. Exterior double room designed to satisfy all the needs of two people. You can choose between double beds and/or twin beds. They are equipped with TV, telephone, bathroom, air conditioning, heating and Wi-Fi. There are 2 rooms fully adapted for disabled guests. Room price from 51 €/night 10% VAT included. City tax of 0.50€ per person per night is not included. Elegant double room designed with 150x190cm bed or 2 twin 90cm beds and window showing the courtyard or terrace. They are equipped with TV, telephone, bathroom, air conditioning, heating and Wi-Fi. 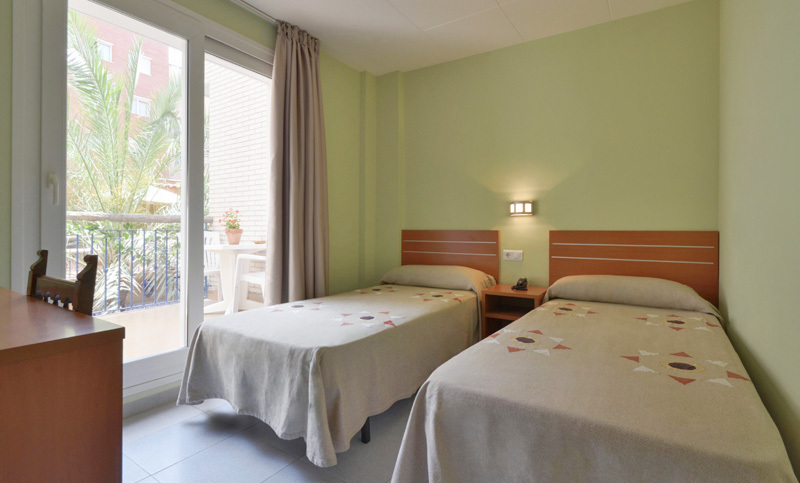 Room price from 66 €/night 10% VAT included. City tax of 0.50€ per person per night is not included.